To disconnect your service, please fill out the form below or call our Member Services Department at 1-800-255-6815 during business hours, 7:30 a.m. to 5:00 p.m., Monday through Friday. All requests will be processed during the next three business days. Your meter will be read on the disconnect date and any remaining energy charges will appear on your closing bill. Depending upon where you are in the billing cycle, this may take up to two billing cycles to finalize. Your deposit will automatically be applied to your closing bill, unless you have another active account. If you have another active account, the deposit will be transferred to the active account. Please make sure we have a correct forwarding address for proper processing of your closing bill.  The Energy Cooperative does not reveal any personal information that users provide to us through our website to any third party. All information provided by customers on this form is kept strictly confidential and secure to prevent unauthorized use of personal information.